From Release: It started out as a united vision in 2006, shared between the band’s founding members, Björn Strid and David Andersson, somewhere on one of those endless American highways in the middle of a SOILWORK tour. The original idea was to create a soundtrack for their own journey, something that you could listen to when everyone else was sick of listening to ‘Detroit Rock City’, ‘Goodbye Girl’ and ‘Born To Run’. The band released their first two albums, ‘Internal Affairs’ and ‘Skyline Whispers’, which both were critically acclaimed and built them a reputation in certain circles but they wanted and needed something more. The band managed to take things next level when they signed to Nuclear Blast and released their latest pièce de résistance, ‘Amber Galactic’. This year, they’re back with their new album, ‘Sometimes The World Ain’t Enough’, taking the band even further. This album has all the catchy tunes, the musical artistry and the inimitable Swedish melancholy – everything’s still slightly over the top and there’s even more for you to love. It’s been almost five years since we last chatted so let’s catch up, how have the last five years been for you? Wow, five years I can’t believe that! It’s been very interesting I mean we released the first Night Flight album in 2012, so there’s been a lot of that going on and I think what happened in the last five years is I feel way more balanced musically but also on a personal level since I feel like I have the best of both worlds now. 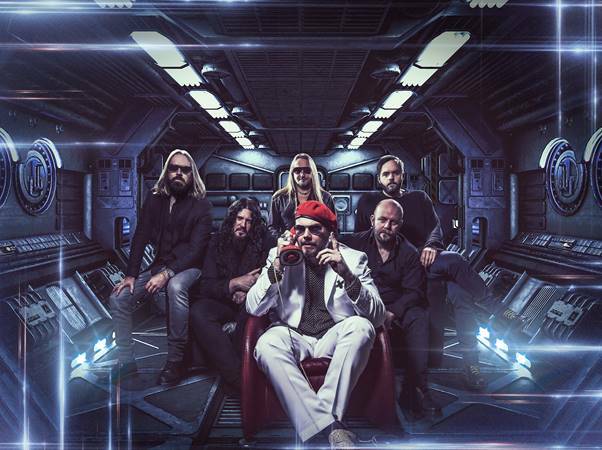 I have Soilwork that is still developing metal, then I have the Night Flight Orchestra that is sort of very liberating in a way musically and there are really no boundaries that I can do with that band. So it’s been a very interesting five years I would say musically and I feel good and I feel like I’m in pretty good shape with my vocals and I think I’ve made some steps. I absolutely LOVE the sound of this band, the only way I can describe it perfectly is you guys sound like ‘pure memory’. What is it about that sound that attracted you to it and to make it in this day and age? Pure memory *laughs* I mean I think it’s always been there when I was growing up my mom was playing so many records in the car and we would listen to everything from Eurythmics to Iron Maiden to Bruce Springsteen and it was like a big mess of everything. Of course there is a lot of nostalgia involved here but I think I needed to do that journey with Soilwork first, twenty years on the road making records and I’ve always listened to all kinds of music in that time as well but then it was a matter of finding the right people, and I met David in 2007 when we started touring with Soilwork and we very quickly bonded over a lot of music both like with everything going on in the late 70’s and early 80’s and musically the whole concept and the expression and we felt that it was a lost art, the way of writing songs, the way of composing songs and performing songs that was just missing out there we feel. Because it’s not only about nostalgia I was going to say it’s a lifetime *laughs* but that’s really how it started to provide a soundtrack for ourselves like being on the road, being in motion, with a lot of escapades running through it as well you know? So that’s really what inspired us to do that and it feels like we’re sort of alone in this genre, when you talk about AOR today it’s still something completely different we feel so I think we’re almost like classic rock pariahs in a way *laughs*. Pure memory. The new album Sometimes The World Ain’t Enough’ is fantastic, what if anything did you do differently this time around compared to your previous albums? We did work a lot more with the keyboard sounds, it sounds a bit like more early 70’s where before it was a mix of 70’s and 80’s but now we focussed more on 80’s keyboards and also worked a lot more with percussion which is something that definitely sticks out in the genre as well, you don’t hear that a lot, I mean Rolling Stones had a lot of percussion in the 70’s but in the 80’s you didn’t really hear it that much so I think that also brings a whole new dimension to it, so I guess that also makes the new album slightly more danceable, I don’t know if that was planned or not but that’s what it feels like. It’s fun, it definitely takes you on a journey and we didn’t really approach it that much differently I think I mean we never really left the studio, we have two producers in the band with their own studios we can sort of have access whenever we wanted so we could keep coming and going and it was like a constant thing for us as well and we built up quite a bit of a vault of songs by now that we sometimes even pick up some songs that we wrote a couple of years ago that didn’t fit in at the time and sort of rearrange with and experiment. That’s how it works. I was going to ask about that because in only a year since ‘Amber Galactic’ are you guys sitting on a hive of material just waiting to be released? Yeah pretty much *laughs* but it really needs to make sense, it needs to be, it’s crucial that we really release albums and not ok well there’s enough songs that are catchy let’s throw them out there, it needs to be an album that sort of takes you on a journey and has that sort of flow that you really enjoy and needs to work visually and everything, so that’s sort of what we aim for. Please tell me this is being released on vinyl, it’s the kind of album that needs to be heard that way. Yeah absolutely 100% and even our first two albums will come out on vinyl too finally with an added feature, that’s what I heard. I always like to pick one song from an album to ask about and it was tough to pick just one but the one that jumped out at me was ‘Lovers In The Rain’, what a tune! What can you tell us about this one? Well it has that sort of sentimental early 80’s ABBA feel to it you know when they were all breaking up and at the same time it has almost a rock version of Ultravox to it but it has a lot of 80’s sentimentality and I think that’s what we were going for, and it’s a beautiful song and a beautiful slide guitar there as well. David wrote the song and it definitely sounds like a soundtrack as well, you can see it in so many movies you know? That’s usually something that inspires us as well soundtracks. Oh half the time it was like listening to an endless Rocky training montage, it was amazing! *laughs* Yeah I know, I mean we absolutely love the Rocky movies and Survivor is such an underrated band, they’ve done so much more than Rocky as well and especially Dave Bickler that singer is one of my heroes so I can definitely recommend to people that have only heard the Rocky songs by Survivor to check out their whole back catalogue, it’s fantastic stuff. I have to ask, do you think we’ll ever see you in Australia? I hope so, that’s definitely in the plans it obviously takes a lot of budget but I think our fan base is really growing and we aim to sort of carry on the ABBA legacy *laughs*when it comes to Australia in that they were quite a name in the late 70’s and early 80’s and I think there’s a lot of ABBA in our music as well and we would love to be able to carry on that legacy and do a full tour in Australia so it’s definitely in the plans. 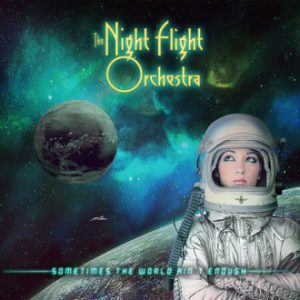 The Night Flight Orchestra is now ten years old as of last year, over those ten years what for you has been the most rewarding part of being in this band? I think it is a little bit of what we talked about before, I feel way more balanced now musically and I was trying to squeeze almost all my influences into Soilwork which was extremely hard you can’t be Tom Araya and Lou Gramm at the same time it’s hard *laughs* so I think Soilwork has become better ever since I started Night Flight too because maybe I feel more free in my expression and I have more balance it’s like a yin yang situation, so I think I just feel better and I think I’ve managed to develop my voice even more and I think both bands have been feeding off each other in that sense as well. Sneaky Soilwork question, any plans for a new album anytime soon? Yeah we just sort of wrapped up the new album I have a couple more songs to do vocals for and then it’s going to be released in the end of the year or beginning of the next, it’s a fantastic album and I’m very proud of it. I mean it’s always melodies that somehow create a lot of pictures that I enjoy in my mind, I always go for the pictures, when you say I think in images, in pictures when I create melodies and I think that sense for melody has always been there and I think will be a never ending well and I’m really grateful for that and I don’t know I guess I have to thank my mom for playing all those amazing records in the car when we were out driving I think that’s a perfect way of listening to music and I think it’s also what I go for which is a melody that makes you feel like you’re in motion, so yeah. Yeah, thanks. It’s a lot of fun *laughs*. Be every metalhead’s guilty pleasure.